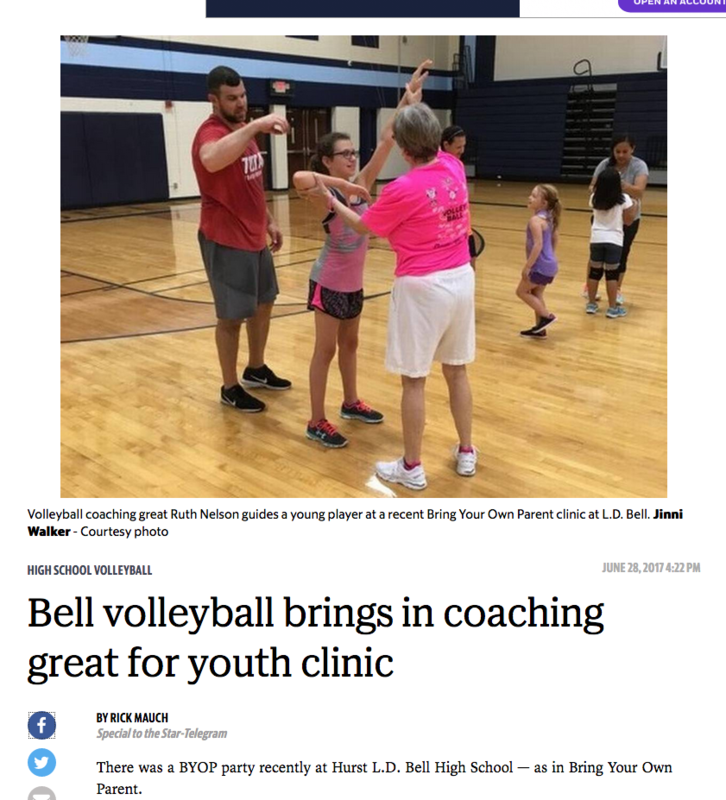 “Having attended Coach Nelson’s BYOP® presentations at The Art of Coaching Volleyball, I decided to email her to get her thoughts,” Walker said. “Our discussions led to the possibility of bringing the program to our area. It just so happened that we had an almost certified coach in our area, and with the help of some friends, HEB ISD colleagues, and a connection of Coach Nelson’s, we were able to get enough participants for our introduction.” The program is exactly what it says — young athletes and their parents working together for the advancement of the game and the player. Your first introduction for players 5-10 and their parents. Please join us in an innovative and FUN way to develop your daughters basic volleyball fundamental skills and learn life lessons at the same time. BYOP® Program Overview: This training program is designed for any player, no matter what skill or ability level, as long as their goal is to become the best they can be! Parents must be fully dedicated to be actively involved in this program. BYOP® will provide excellent volleyball fundamental skills training as well as life lessons to both player and parent. BYOP® Program Details: Each training session will build upon a solid foundation of all fundamental skills needed to participate in the sport of volleyball. Parents must be engaged in every training session and involved in the home training program involving physical and skills activities. Confirmation of Acceptance will be emailed within 48-72 hours after your online form has been received. First 16 families will participate on court clinic and other registering may observe clinic. $20 before June 15 and after $30 if space is available after June 15. $10 for those families wanting to attend and observe.